Saturday on 1st of October 2011, a Guinness Challenge Trophy tournament was held at the Song Kheng Hai Rugby Ground, Kuching, Sarawak. 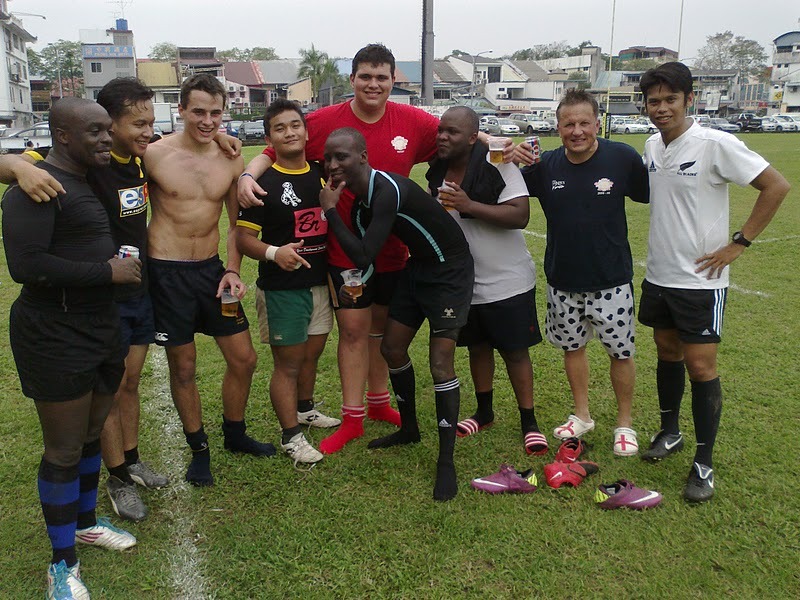 The match participants include both of the oldest rugby club in Malaysia which is the Royal Selangor Rugby Club (RSC Rugby) and Kuching Rugby Football Club (KRFC). I was suppose to play for the Kuching team but luck hadn't been on my side since i'm not chosen to play with them although i did my training with the club. 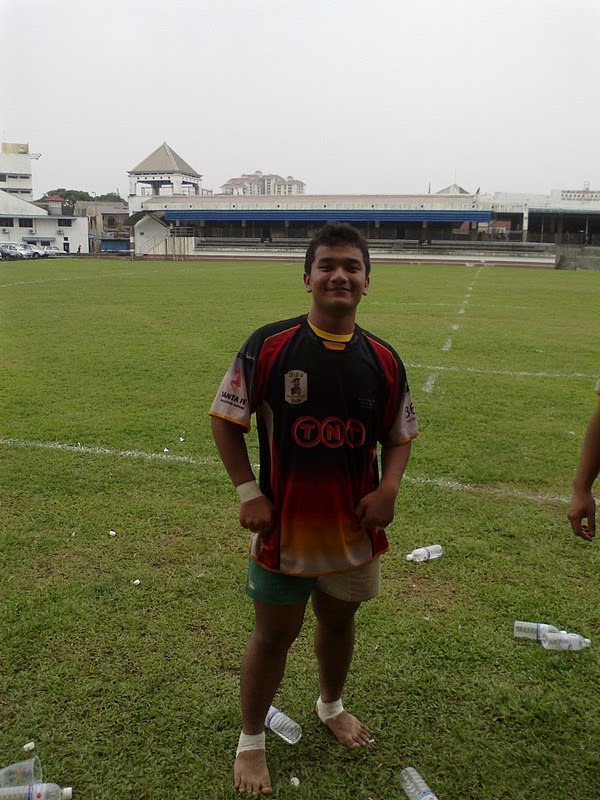 maybe i wasn't good enough to put myself on the line with Kuching team. just when i thought that i'd only be able to watch from the stand, every cloud has a silver lining. the RSC club manager called for me to play with them as they were short of a few players. hearing that, it felt like i've been given a shot of epinephrine. i mean for real. i'm just smiling all the way to them knowing that i've been given a chance to play with one of the coolest rugby club in Malaysia. things like this just don't happen everyday! 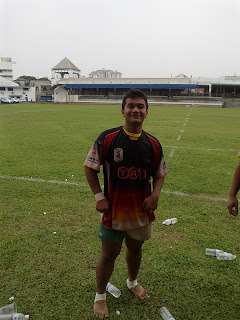 i played the whole final half time with RSC as an open flanker and damn proud of myself for the jersey i'm wearing at that time. i don't care about what other people might think or said about me for what really matters in rugby is how big your heart is towards the game. after the game, its a bbq with a whole lot of chicken wings you could eat. filled my tummy a bit before going straight home. 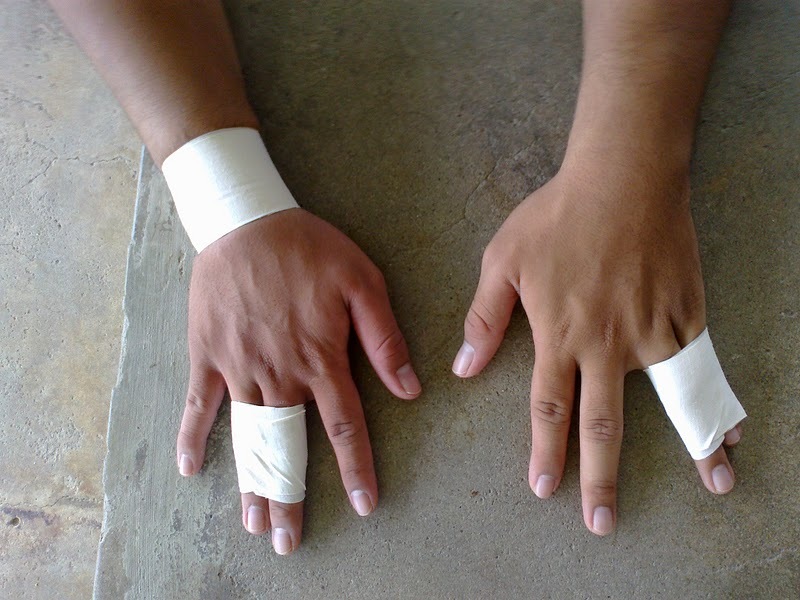 this part over here is the courtesy of Pak Deen and Ian Mohamad for 2nd halftime. i'm just sharing it. fantastic blog , fantastic pix , thanks so much for posting . I will copy some to my facebook so that i can prove to my grandchildren later that i was a rugbyplayer when i was young. When you come to KL next year for the return match , no need to book a hotel , you are most welcome to stay at my house .